Show Results: State Bred in Show 2015 FLCV Specialty Championship Show, Multiple classes in Group, multiple BOB, RUBOB. 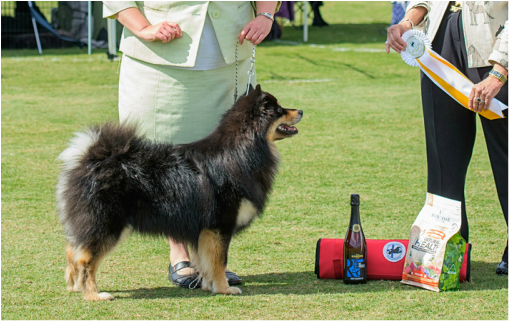 Freki is our home bred boy and while a handful as a pup in the ring, he has matured into a lovely show dog that carries over the best aspects of both his parents. 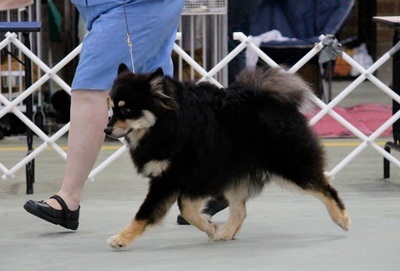 Although we have shown sparingly in 2015-2016, he has done well, with the highlight being State Bred in Show in a competitive line up under Swedish Judge Erna Britt-Nordin at the FLCV Breed Specialty Championship Show.​ He has also placed in his classes at some of our large breed shows, including a second in his class at the Melbourne Royal (out of more than 10) and winning multiple class in breeds at the inter club specialty, the Border Challenge in 2015. 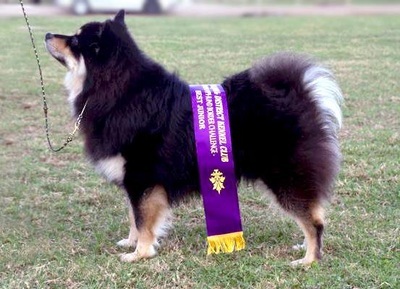 He has also taken a number of class in groups at regular all breed shows and multiple Best of Breed/Runner Up Best of Breeds in competitive line up. More the point is that Freki has grown into a sweet and cheeky boy, happy and confident whether we are in the show ring, out socialising or at home on the couch. We hope to gain his Australian Championship some time in 2016. 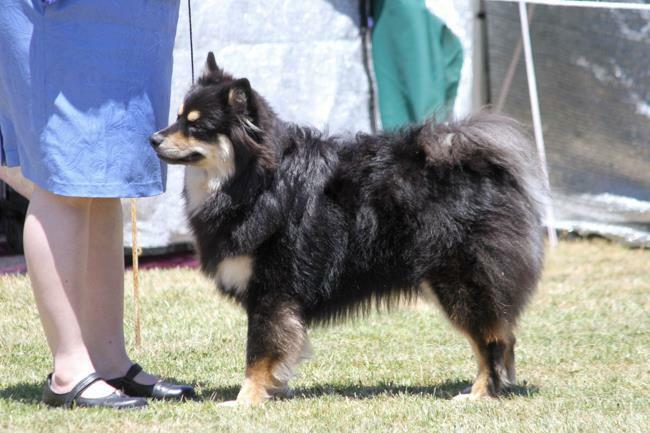 We regularly provide updates on Freki as part of our dog blog news.